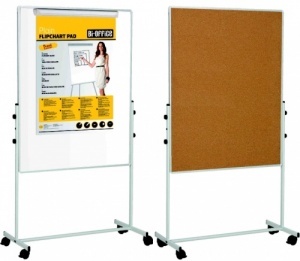 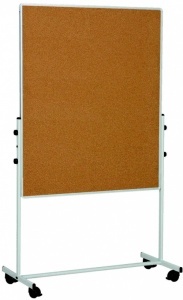 The Mobile Duo is a non magnetic drywipe whiteboard with a useful self healing natural cork pinboard to the rear. 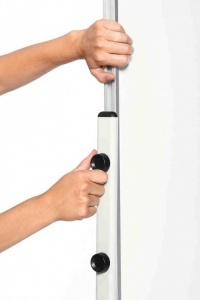 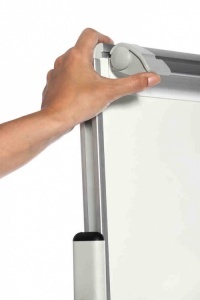 The height adjustable stand comes on 4 x locking castors. 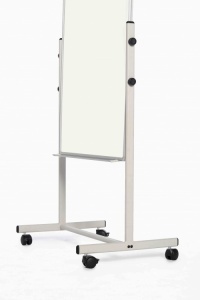 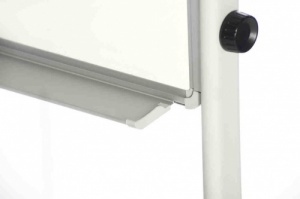 The mobile Duo features a flipchart pad clamp for use on the whiteboard side to make this a very versatile combination.